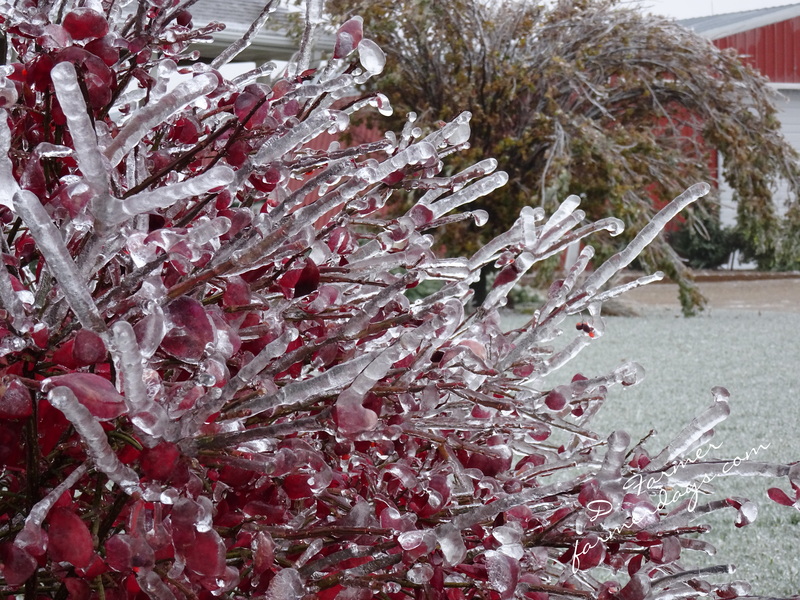 A quick powerful winter storm moved thru yesterday. 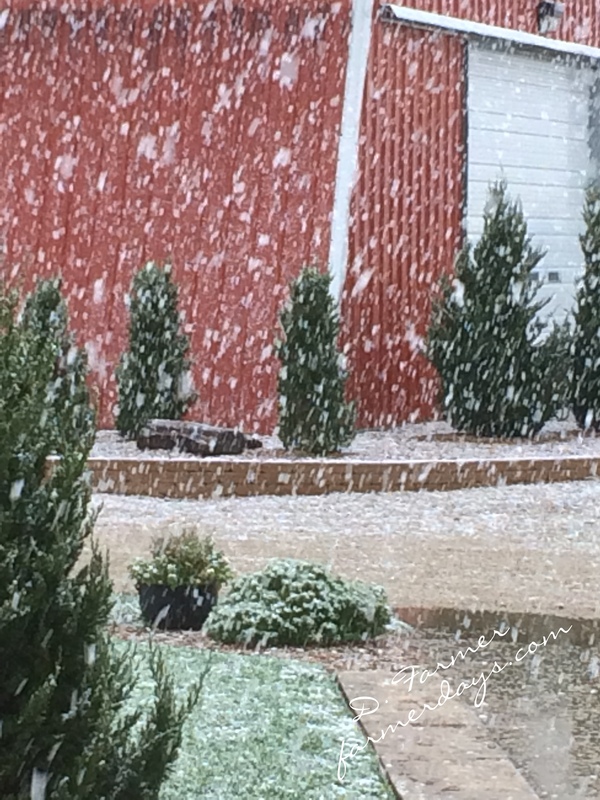 Started out with freezing drizzle then changed to snow along with 40 mph winds. Made for some pretty good drifts. Please use the back door, I haven’t shoveled the front walk. A great day to stay inside and bake some bread. This is a starter that my mother had used years ago. She gave it to a friend of hers and he has been making bread for years. After she passed away, I called him, he was still using her starter and he gave me some. I bake bread weekly and also make a wonderful chocolate cake. Makes the best pancakes too! I love the end of a loaf for French toast and also make Panzanella salad. Oh my gosh, I am still learning how to post on my laptop, I think it is easier on the phone (Jessica!). 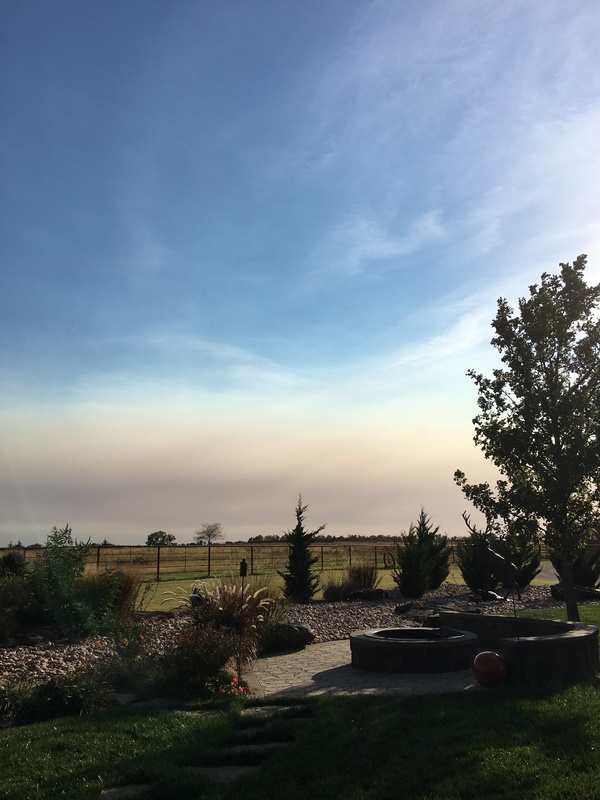 This entry was posted in Daily Happenings, On The Farm and tagged Kansas, weather on January 12, 2018 by Debra Farmer. It’s been quite a week in Kansas weather wise. There were sever weather warnings issued everyday. The brome grass is ready to be cut, as soon as the fields dry out they will be cutting and baling hay. It’s wonderful to see a beautiful partly cloudy Kansas sky, instead of one filled with storm clouds! Wednesday, May 25th there was a large tornado that form just to the east of us. It was on the ground for over an hour and was up to 1/2 mile wide. It stayed mostly over rural areas, damaging around 25 homes, some that no longer exist. The tornado narrowly missed Chapman, which was devastated by a tornado in 2008. This is the backside of the tornadic storm. It was amazing to watch the thunderhead grow so rapidly. 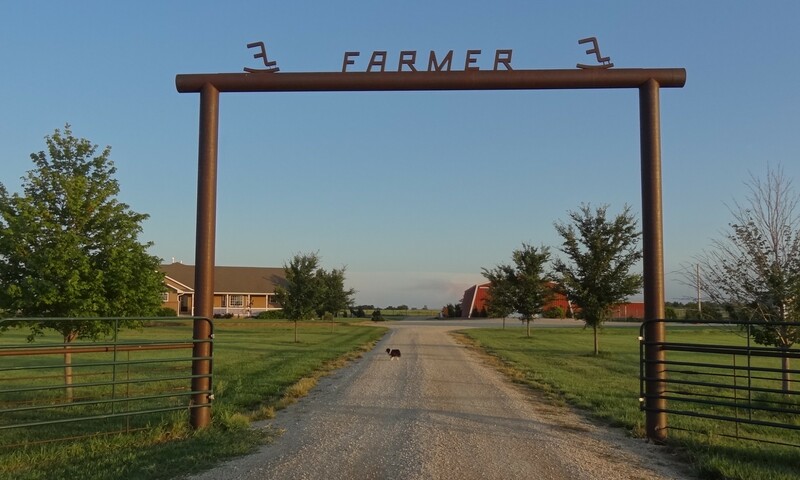 This entry was posted in Daily Happenings, On The Farm and tagged Kansas, weather on May 29, 2016 by Debra Farmer. 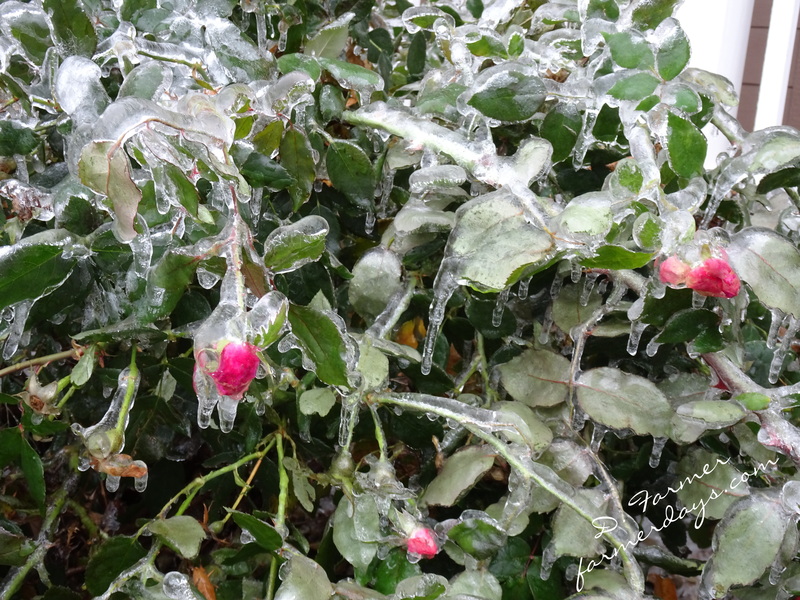 This entry was posted in Daily Happenings and tagged Kansas, weather on December 7, 2015 by Debra Farmer. I had forecasted 90 days ago that there would be snow for Thanksgiving. 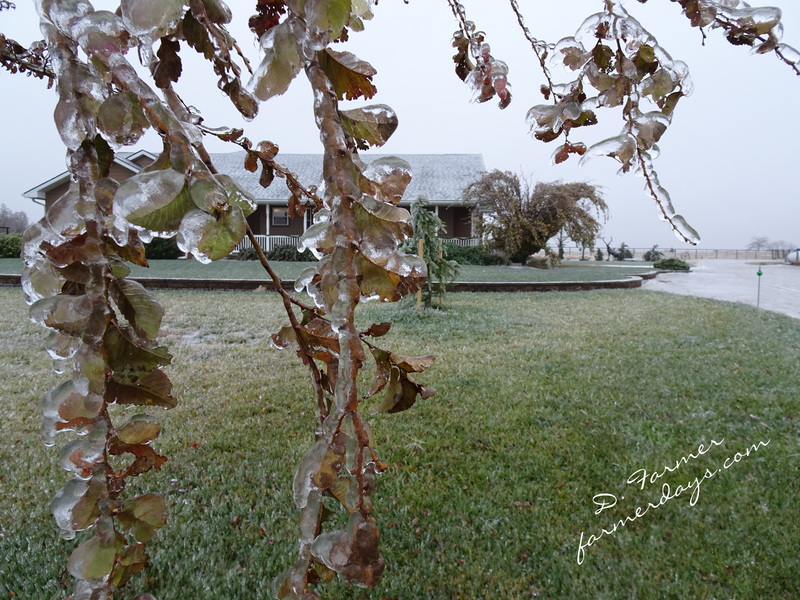 It is an old wives tale or something that I read in the Farmer’s Almanac that when you have your first fog you will have your first snow in 90 days (it didn’t say anything about an ice storm!). That foggy morning, I grabbed the calendar and counted ahead 90 days. Great, it was Thanksgiving Day. The day that my loving family would be here for dinner. Thankfully Thanksgiving Day was the best travel day of the Holiday. We stayed home for most of the holiday weekend, eating leftovers, playing games, and enjoying being together. Chris, Courtney, Caden and Camryn are now home safe and sound, our home is quiet, Wylie is resting….. I think I will join him! We missed the ones who weren’t able to be here with us, I love you my family!! 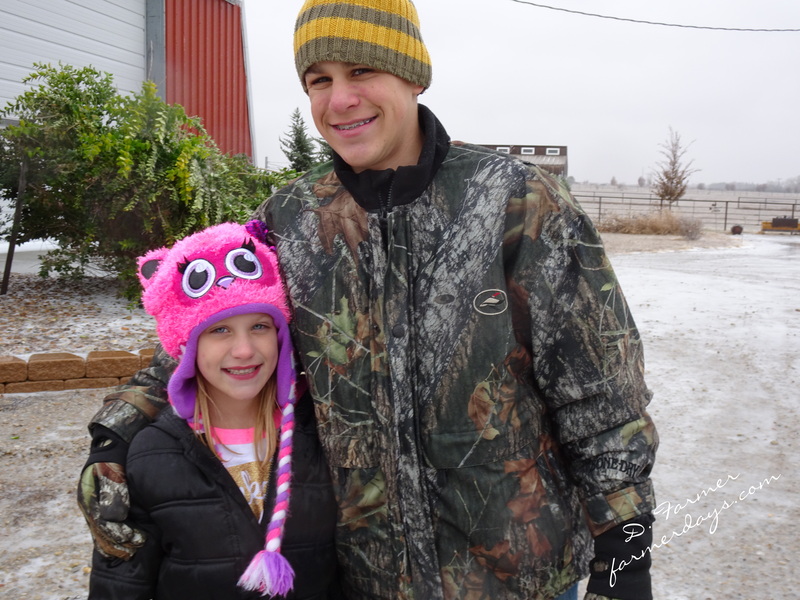 This entry was posted in Holidays, On The Farm and tagged FAMILY, Grandkids, Kansas, weather on November 29, 2015 by Debra Farmer. It’s been a rather slow week at Farmer Days. Mr. Farmer is out of town and Wylie is “suppose” to be keeping quite and limiting his activities due to an injury, so I though I would look back to my photos from October 2013. 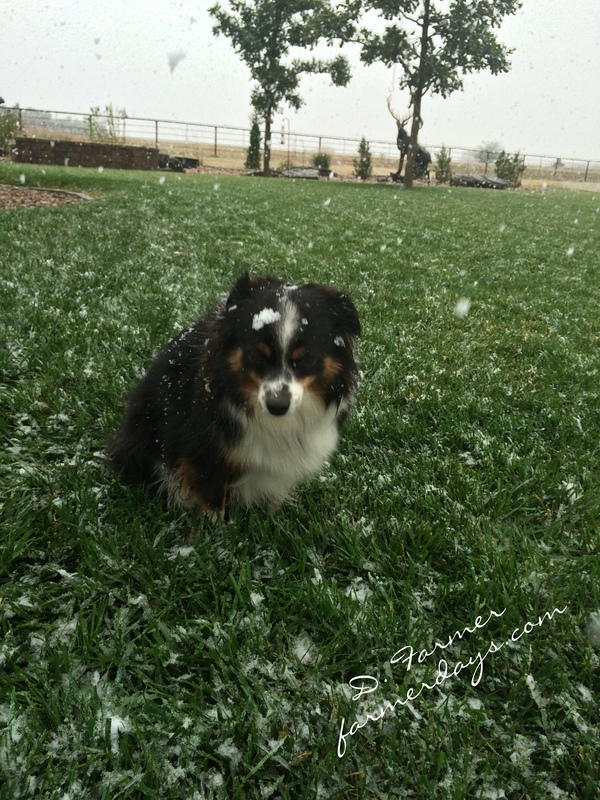 It SNOWED on October 18, 2013. We could use the moisture now, but I would like it as rain and not snow. I’m certainly not looking forward to winter. Why is autumn so beautiful, but so short?!? I hope you can get out and enjoy this beautiful day. 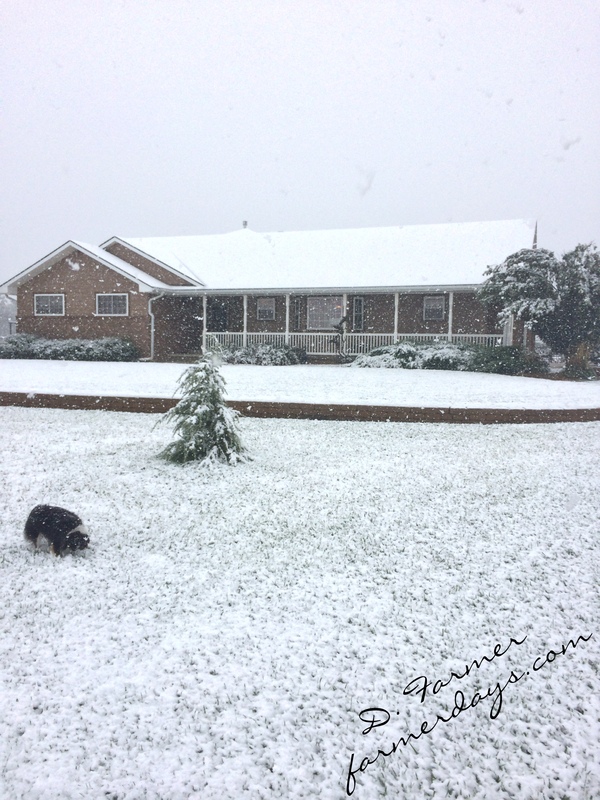 This entry was posted in Daily Happenings and tagged Kansas, weather, Wylie on October 15, 2015 by Debra Farmer.